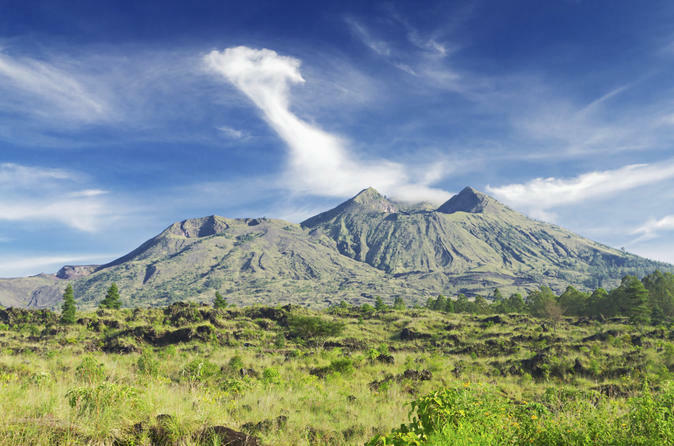 Although Bali is considered to be one of the best honeymoon destinations in the world, not many know that it also offers several adventurous activities. Even if you are looking for adventure, there are some places that you must see in Bali, when in this extraordinary city of Indonesia. Ubud, Nusa Lembongan, Pura Luhur Uluwatu, Kuta Beach, Mount Batur, Pura Besakih, Tanah Lot, etc. are some of the most popular destinations in Bali that one must definitely visit. Some things you must not miss if you are in Bali are hiking up Mount Bature at Kintamani, going on a boat ride to watch dolphins at Lovina and enjoying the waterfalls and hot springs in Singaraja. Many of us search for food that we are used to eating back home, wherever we go. But if you want to enjoy Bali completely, you must not ignore the delicious food of Bali. Few of the authentic dishes you must try are Nasi Ayam and Nasi Campur, Babi Guling, Tahu and Tempe, Pepes and Tum, Jimbaran seafood, etc. If you want to try authentic Balinese cuisine, there are several local restaurants that serve these delicious, traditional dishes of Bali. The best part about these restaurants is that they are quite inexpensive. On the other hand, if you feel like having a formal, sit down dinner, Bali also offers several luxury restaurants that not only have a menu full of mouth-watering dishes but also a unique ambience. If you are looking for adventure, Bali would not disappoint you. Bali offers a series of adventures like diving, white water river rafting, surfing, sea walking, kite surfing, parasailing, canyon tubing and much more. If you are a person who has done all these and want to go a little further, Bali surprises you with some extreme sports that would definitely give you an adrenaline rush. This Indonesian island gives you the opportunity to try flyboarding, cliff jumping, cave diving with the sharks, cannoning, free diving, kite surfing, etc. Although Bali is not popular as a shopping destination, the shopping scene here is thriving, and you would definitely get to see things that you would find irresistible. The local markets here are the perfect place to pick up souvenirs for your friends and family back home. Right from paintings and art pieces to jewellery, antique furniture and such other knick-knacks, you would be spoilt with variety in this Indonesian island. If you are planning to shop in the local markets, make sure you bargain till you get the best price. Also, do not forget to carry cash with you. On the other hand, if you are a shopping mall person, there are several shopping malls in Bali where you would get to shop local as well as international brands. Day one is when you arrive at Bali. Our tour representative would be waiting at the airport to receive you. Once you check in to the hotel, you are free to do as you please. You can book a cab and explore the various delights of Bali on your own. The day begins with breakfast at the hotel followed by the interesting Kintamani Volcano Tour. You would also be able to enjoy the Ubud Village tour. A tour guide would accompany you on all your tours. The tour of Bali would not be complete without visiting its beautiful temples. So, on day 4, after breakfast, you would be taken to Tanah Lot Temple which would be followed by a Sunset Tour. Day five is the day for relaxing. After breakfast, you get to enjoy a relaxing authentic Balinese massage for two hours at the Bali Orchid Spa. After this, you are free to enjoy the day as per your wish. Go on a romantic dinner or spend your time at one of the beautiful beaches of Bali. You can go for the shopping in Bali or you can spend your day with your lovely once. On the last day of the tour, you would be dropped off at the airport after breakfast. If you have time, you can choose to visit a place that you wanted to go to but were not able to during the tour.